As a Louisiana licensed real estate agent, Leah Cureton has a passion for forestry. 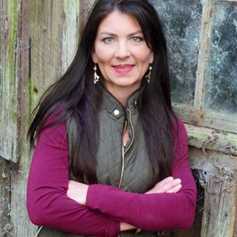 With almost ten years of working in the Pulp and Paper Industry and over ten years in the Oil and Gas Industries, she has a unique outlook on Louisiana property. Leah also has several personal properties that she maintains and manages on a regular basis. She has a strong passion for the great outdoors, and exploring unfamiliar territory is always on her agenda. Born and raised in DeRidder, Louisiana she was taught the beauty of hunting, fishing, and cultivating the land around her. Leah has the privilege of managing and serving as president of the Bearhead Marsh Hunting Club, a private hunting club she has been a part of for 15 years. Her love for the outdoors is a true family affair that spans generations of knowledge and experience. Leah has found her home with Mossy Oak Properties and wants to help you find your passion in the great outdoors.